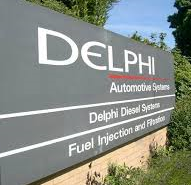 Apprentices from Sudbury-based Delphi Diesel Systems descended on Kernos recently to make a co-ordinated attack on the courtyard garden at the Centre. 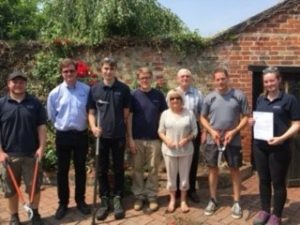 Some time – and much hard work – later not only had the garden been transformed but the group also presented Chris Boatwright, Clinical Director with a cheque for £206. In thanking Roy Engle and his Delphi Apprentices team for their tremendous voluntary effort, Chris said: “We are so grateful to you and the apprentices for their time and all their hard work, which has restored our courtyard garden into a place that our clients and counsellors can all enjoy – it is very much appreciated!